Are counter-arguments to a Graduate Tax wearing thinner with every new RAB estimate? Last week’s news that the 2012 student fee system is likely to cost more than the one it replaced was met with silence by those who previously blamed public opposition to it on “a failure of presentation”. For some, the solution involves lifting the cap on fees further. So when Channel 4 newscaster Cathy Newman suggested to David Willetts that another rise was on the way, his response was that it “could be“. For others, like John Denham, the answer is to introduce shorter degrees and to cut fees by having employers part-fund students. Somewhere between the two, advocates of a Graduate Tax point out that, if levied at the right thresholds and subject to appropriate limits, such a contribution has the potential to raise more revenue in a way that’s more progressive. But are the counter-arguments to a Graduate Tax wearing thinner with every new RAB estimate? According to Mr Mian, “everyone earning over £10,500 would have to make a contribution” and repayments would be “unlimited, both in terms of the total amount due and the period over which it is to be paid”. Could repayments not be levied on earnings over, say, £21k, as the current system does? 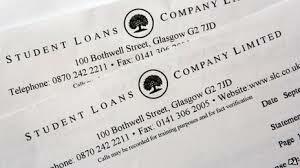 And could a Graduate Tax not cease 30 years after the degree is completed, as loan repayments now do? The underlying objections of Mr Mian, who headed up the supporting civil service team for the 2010 Browne Review, seem to channel those of Nicholas Barr, who rejected a Graduate Tax on the grounds that universities should “face a system that encourages competition“. The problem is, changes to the funding model made in the name of “austerity” begin to look ill-conceived when the tax-payer is left footing an even bigger bill. And Mr Mian’s piece doesn’t acknowledge one of the main problems with the £9k system – that high-earning graduates end up getting their degree for substantially less than their middle-earning counterparts. That’s not to say a Graduate Tax is without any problems of its own, of course. Hypothecated revenues would need tightly ring-fencing to stop future governments dipping their hands into the till, and the Russell Group are right to point out that “the prospect of incurring a punitive tax liability would create incentives for those who anticipate higher earnings to avoid paying“. 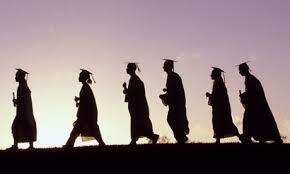 Some wealthier graduates may indeed drift overseas to dodge their contribution. The SMF’s Chair, Mary Ann Sieghart, described Mr Mian’s piece as a “great demolition of the Graduate Tax“. And John Rentoul went further, arguing that the Graduate Tax has a “mythical quality of otherness shared in the old days by communism and in the new days by Swedish social democracy“. But rather than dismiss the idea with a sweep of rhetorical flourish, wouldn’t it be better to commission some detailed economic modelling and make long-term comparisons with a £9k system that increasingly seems unfit for purpose? Who knows? 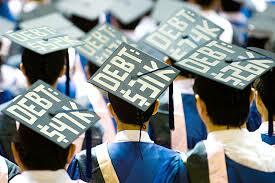 Maybe bigger loans and cheaper degrees aren’t the only two options? This entry was posted in 2012 Fee Structure, Graduate Tax, HE Marketisation, Participation, Public Funding, Student Debt, Student Fees and tagged RAB. Bookmark the permalink.